Planned Giving (including monthly and quarterly standing orders) £5810.72, Loose Plate £2376.05, Grand Total £8186.77. 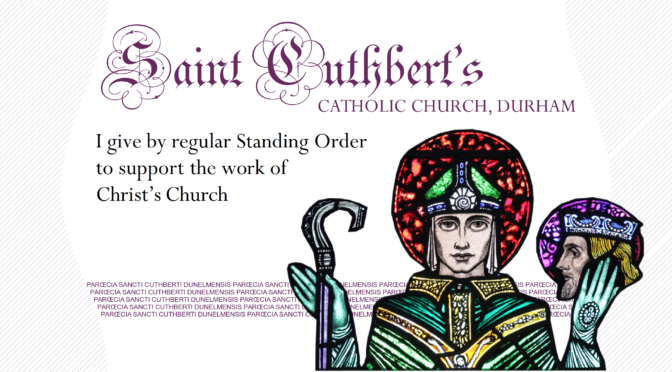 You also donated £158.30 towards the after Mass tea and coffee which will go to St Cuthbert’s Hospice, £183.34 Mill Hill Missions and £158.52 for Communications Sunday. Many thanks for your continued generosity.